Newington Electric welcomes New London, CT residents and businesses! 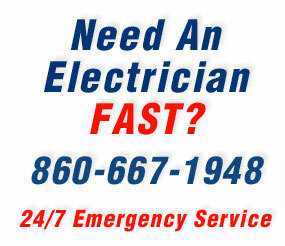 We are proud to be New London's #1 Choice for Electrical Contractors Since 1958. NEC is licensed and registered with the State of Connecticut Department of Consumer Protection. We enjoy an excellent reputation with both Local and State Electrical Inspectors. NEC specializes in Residential and Commercial wiring in New London, from a simple emergency service call, troubleshooting and repair, to renovations and small to mid-size project work. Newington Electric's service department is staffed 24 hours a day, 7 days a week in New London. Our answering service is operational after hours and will put you in touch with NEC within minutes of your call. Our average response time in New London is approximately 15 minutes! 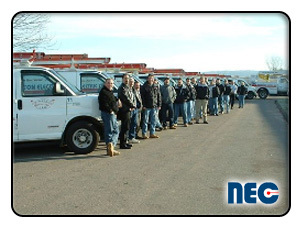 NEC maintains a fleet of fully stocked, radio dispatched vehicles in New London, including a 45 foot aerial truck. We pride ourselves on being ready to respond to any situation that may arise and we are prepared to supply our New London customers with generators for emergency power if needed. Our quick response is a trademark of our company. 24-7. 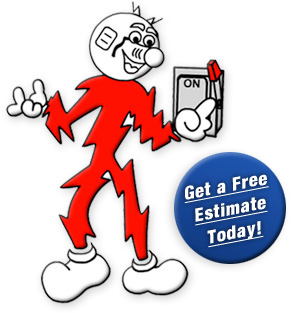 If you're looking for fast, dependable Electricians in New London, CT (Connecticut) at an affordable price, then contact NEC for free estimate today. Andover, Ansonia, Ashford, Avon, Barkhamsted, Beacon Falls, Berlin, Bethany, Bethel, Bethlehem, Bloomfield, Bolton, Branford, Bridgeport, Bridgewater, Bristol, Brookfield, Brooklyn, Burlington, Canaan, Canton, Cheshire, Chester, Clinton, Colchester, Colebrook, Collinsville, Columbia, Cornwall, Coventry, Cromwell, Danbury, Darien, Deep River, Derby, Durham, East Granby, East Haddam, East Hampton, East Hartford, East Haven, East Lyme, East Windsor, Easton, Ellington, Enfield, Essex, Fairfield, Farmington, Glastonbury, Goshen, Granby, Greenwich, Griswold, Groton, Guilford, Haddam, Hamden, Hartford, Hartland, Harwinton, Hebron, Kensington, Kent, Killingworth, Lebanon, Ledyard, Lisbon, Litchfield, Lyme, Madison, Manchester, Mansfield, Marion, Marlborough, Meriden, Middlebury, Middlefield, Middletown, Milford, Monroe, Montville, Morris, Naugatuck, New Britain, New Canaan, New Fairfield, New Hartford, New Haven, New London, New Milford, Newington, Newtown, Norfolk, North Brandford, North Canaan, North Haven, Norwalk, Norwich, Oakville, Old Lyme, Old Saybrook, Orange, Oxford, Plainfield, Plainville, Plantsville, Plymouth, Pomfret, Portland, Preston, Prospect, Putnam, Redding, Ridgefield, Rocky Hill, Roxbury, Salem, Salisbury, Seymour, Sharon, Shelton, Sherman, Simsbury, Somers, South Windsor, Southbury, Southford, Southington, Stamford, Stonington, Stratford, Suffield, Terryville, Thomaston, Tolland, Torrington, Trumbull, Unionville, Vernon, Voluntown, Wallingford, Warren, Washington, Waterbury, Waterford, Watertown, West Hartford, West Haven, Westbrook, Weston, Westport, Wethersfield, Willington, Wilton, Winchester, Windsor, Windsor Locks, Wolcott , Woodbridge, and Woodbury. © 2019 Newington Electric. All rights reserved.